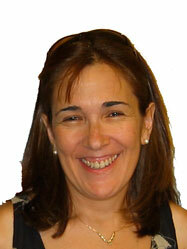 I am a Professor of Hispanic Linguistics in the Department of Spanish and Portuguese at the University of Arizona. Before coming to the U. of Arizona in 2006, I was an Associate Professor of Spanish Linguistics and Director of the Spanish Translation Certificate Program at Arizona State University. Previously I spent two years as an Assistant Professor of Spanish at Indiana University (for my degrees click here). I am a linguist who works primarily in two areas: Spanish Phonology and Translation Studies/Applied linguistics (list of select publications). My phonological research is in generative phonology, within the optimality-theoretic framework, and with a focus on syllabification (glides, diphthongs, resyllabification, etc.). I also am also interested in how phonological theory can inform empirical/laboratory work and vice versa. In addition to Spanish, I also work in the phonology of Galician, a Romance language of Spain closely related to Portuguese.